Wind trap Jewelery Specializes in custom products. My primary media is piano key ivory however other materials are occasionally used. 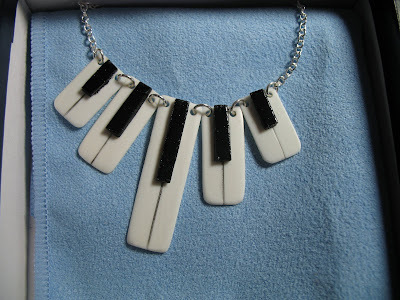 This was a custom necklace created from piano keys supplied by the customer. Carved directly from the old ivory keys, she can now still cherish her old ivory piano!